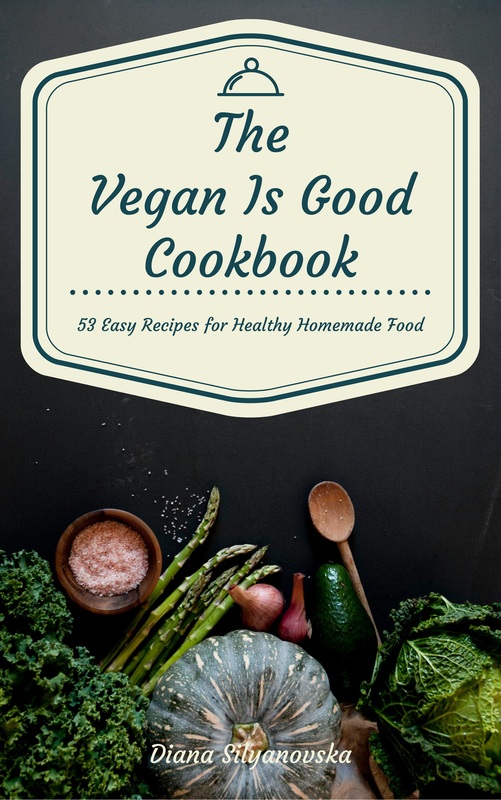 What do you need for the ultimate healthy vegan salad? The ultimate season, the ultimate ingredients and just the right combination of flavors. Well it’s summertime and the living is easy, there’s plenty of gorgeous veggies to chose from, just a little bit of inspiration is needed. Among the huge amounts of vegetables that I got from the largest local farmers market (for a ridiculous amount of money…), here are the ones I’ve picked for The Ultimate Summertime Salad. The first thing that needs to be done is to cook the eggplant. Wash it and make to shallow cuts on both sides, each about 4-5 cm long. Put it in the heated at 250 degrees Celsius oven on a piece of baking paper and bake until it’s all brown and soft. Take it out and let it cool for a few minutes. Now use a knife to split it in two and a spoon to take out the tender flesh. Chop it coarsely and put aside to cool completely. 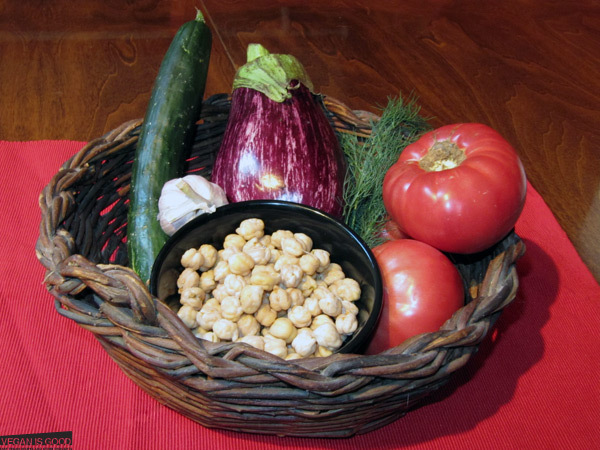 Chop the tomatoes and the cucumber in a large bowl, mince the garlic and the dill, add the chick peas, the eggplant, the olive oil and the black pepper and mix with a large spoon. Serve cooled. 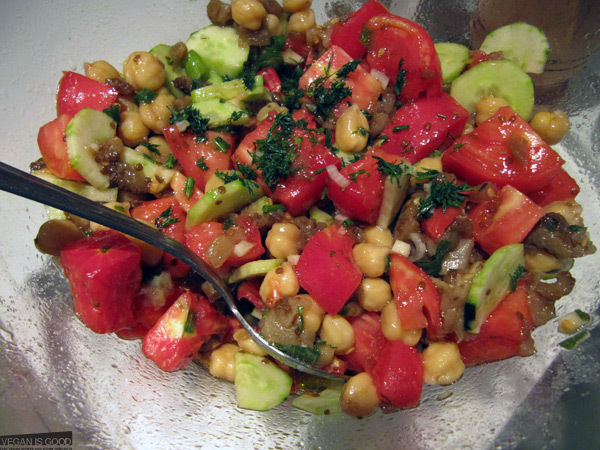 The Ultimate Summertime Salad has a quite high nutritional value, because of the chick peas, and can actually replace an entire main course for the day. Enjoy.